The Cincinnati Reds (27-45) will go for a series sweep and their third consecutive win at 12:35 PM today against the Detroit Tigers (36-38). The Reds beat around the Tigers best starter last evening in their 9-5 win. Sal Romano was terrific for a second straight start, and has allowed just 1 ER in his last 14.0 IP. The Reds have won 5 of their last 7 games, and are 18-18 since May 8th. Tyler MahleÃ‚Â is coming off his third consecutive good start (1.12 ERA over his last 3 starts). The biggest thing for Mahle is that he has now gone 4 starts (21.1 IP) without allowing a home run. Tonight will be Mahle’s first appearance against any of the current Tigers hitters. Let’s kick the Bengals back up I-75 with another loss under their belts! There’s a story on espn.com regarding “The True Madness of Max Scherzer.” Great read . . . I remember reading a story on him several years ago in SI when he was with Detroit where he stated that his goal for every hitter was to be up in the count at 1-2. I can only hope that a few Reds pitchers (and staff!) are clicking in on the story. Gotta love his work ethic and craft approach. I understand why Riggleman continues to hit Suarez 5th in the lineup, but such an approach just reenforces how little confidence I have in the management structure and personnel in the Reds organization. Another afternoon game, so the Old Cossack can squeeze in another game while Mrs. Cossack is otherwise engaged. Let’s hope for a reprise of yesterday’s performance. Schebler is just 3 PA behind qualifying status. 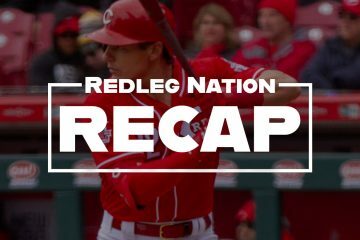 Billy Hamilton has had 2 very good games in a row, including a line drive HR yesterday. I really enjoy seeing Hamilton have success, but I just cringe every time it happens. Every little success is magnified completely out of proportion by Reds management and Reds broadcasters. Yesterday, Thom (of course) emphatically pointed out that Hamilton has been on base 5 times in the past 2 games and scored 5 runs. His emphasis was that Hamilton did something no one else could do and was personally responsible for all 5 of those runs because of his speed and havoc. He just made the same point again during the pregame. All 5 of those runs were directly correlated to Hamilton’s ability to get a hit and get on base. None of those runs were at all correlated with Hamilton’s speed and havoc he creates. Unfortunately, the attributed events were just another example of a good performance from a minscule sample being extrapolated to long term performance. If Hamilton could hit and get on base successfully as a long term performance he would be an all star and MVP candidate, but he can’t and his long term performance clearly documents those shortcomings, irrespective of brief, short term successes. I’ve seen it mentioned here. Over his career he does score at a higher rate per times on base than the average. So just like his other stats. It not noise by now. But Thom, like most in the profession now, will just beat something to death. Why? I have no idea. I still like watching hamilton play, but I don’t watch the reds just because of him. Yesterday, the “In Play, run(s)” was a beutiful thing to see on Votto’s slam, but overlooked perhaps was the nice AB by Barnhardt, where he got down 0-2 trying to bunt, then worked a walk, Love that right there! Winker safe at 2B. That blinding speed came in handy again! Schebler could have been on 3B a few games ago if had busted it out of the box on his deep fly to RF a few games ago. Shortly after Dixon replaced him. Nobody does it anymore….I watch a ton of games and atleast 95% of these current hitters watch the ball for a while or all the way till it goes off the wall before running hard. I remember a few years with Dusty when we were in Milwaukee. I think it was the same series where Coco Cordero blew 2-3 games and we fell out of the race. Anyway…Jay Bruce hit one deep to right and it hit off the top of the wall and kicked back towards the infield, but he wasn’t running and got thrown out at 3rd base. It can be costly, but these guys just won’t do it? A kid in the college WS hit one out opposite field the other day and he was running full blast from the start. It seemed strange to me because you don’t see it in the big leagues. Ye here at the game surrounded by very polite Tigers fans. Back-to-back HR for Scooter and Suarez! Are those Tiger fans still friendly Seat? DAGGUMIT! There goes Thom again in a rant about 2 out splits for Votto and Gennett based on very small sample sizes that support his personal agenda. I wonder what the splits are in day games on a Wednesday with partly cloudy skies against a RH pitcher during interleague play?! I’m certain Thom’s not as ignorant as he sounds, but he sure sounds ignorant. Or he has a different view of the game then you do? The Reds can certainly imitate a good team. A well pitched game by Mahle. Some key hits and several balls barreled up. Turn the game over to the bullpens with the Reds leading and Peralta unavailable. Let’s see if Garrett can be Garrett today. Riggleman has defined Garrett as his LOOGY…period. Really glad that Garrett is happy with his role as a reliever in th Reds bullpen. Watching and working … working and watching. Great week to get that half-off MLB-tv special. And instead of an opportunity, we see Amir Garrett the LOOGY … Cowboy saying “you don’t take any chances” … can’t say I agree. Thom was pretty huffy about it. Not hiding his emotions very well. 2 bouncers off the plate and the Tigers get a run. After the Reds loaded the bases with no outs and got no more. So Duvall is now at 12 HR and like 41 RBIs and we are not at the ASG yet, so exactly how is having a bad season? The OPS below .700 is probably your starting point. Doovie is reversing is this year! Starting horribly and tearing it up in the 2nd half! I don’t think he should start necessarily but he’d be great in a platoon/def replacement role! I can’t remember anyone off-hand that got a better jump then he does on fly balls. He’s pretty good for a guy with average foot speed at best. The power is still there too! 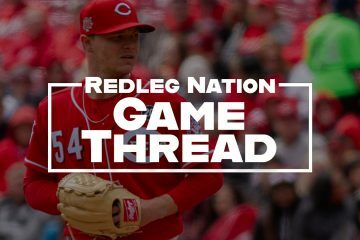 Riggleman did an interview with Marty the other day and said he wants 18 outs plus or minus 1-2 from his starter and the bullpen can/ should get 7-9 outs. Mahle gave him 18 outs….Garrett got him 2 outs in 9 pitches and he pulls him? Lorenzen- gives him 1 out on 2 pitches and he pulls him. Then Hughes gets him 3 outs but gives up a run and throws more pitches than Garrett and Lorenzen- combined. We’re back to rigid bullpen roles. Garrett and Lorenzen are 6/7 th inning guys. Hughes is 8 the inning and Iglesias closer. Great ball game though. And Go reds. Totally agree! He pulled Amir quickly for Hughes in that Sunday game in Pittsburgh and it almost cost them. Hughes has been great but he’s also been released by several teams and had some bad years as well. I challenge anyone to look at his stuff compared to Garrett’s and say he’s better? If I’m not mistaken…Amir got 2 quick outs in the 7th on Sunday and we were up 6-2, then he allowed 2 guys to get on and Riggleman went to Hughes who allowed both of Amir’s guys to score. Garrett/Lorenzen have the best stuff besides Iggy so extend them out a little bit whenever possible! One down… Good start to the inning by RI. I’ll say it again…we are in the wrong division.